Does your little one LOVE googly eyes, sticking pipecleaners into foam, and making crafts with moving parts? 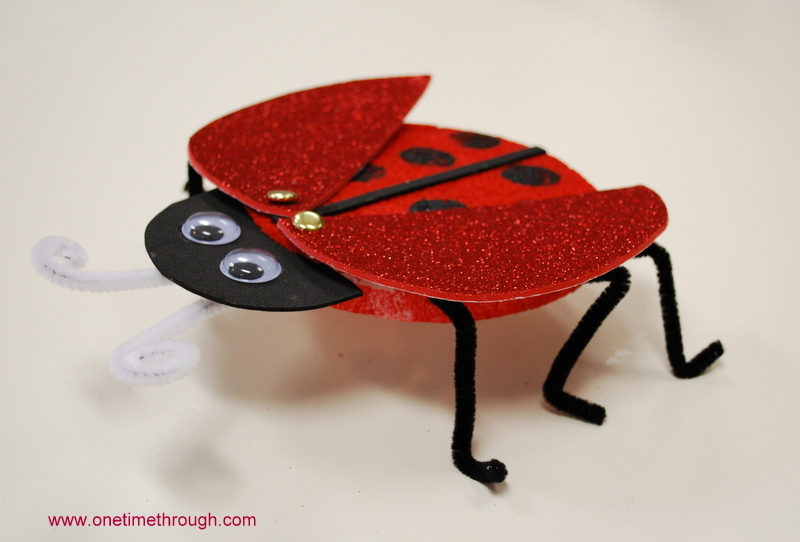 Then they will love today’s 3D Ladybug Craft! My son just attended a little friend’s ladybug themed 4th birthday party that was the inspiration for this craft. 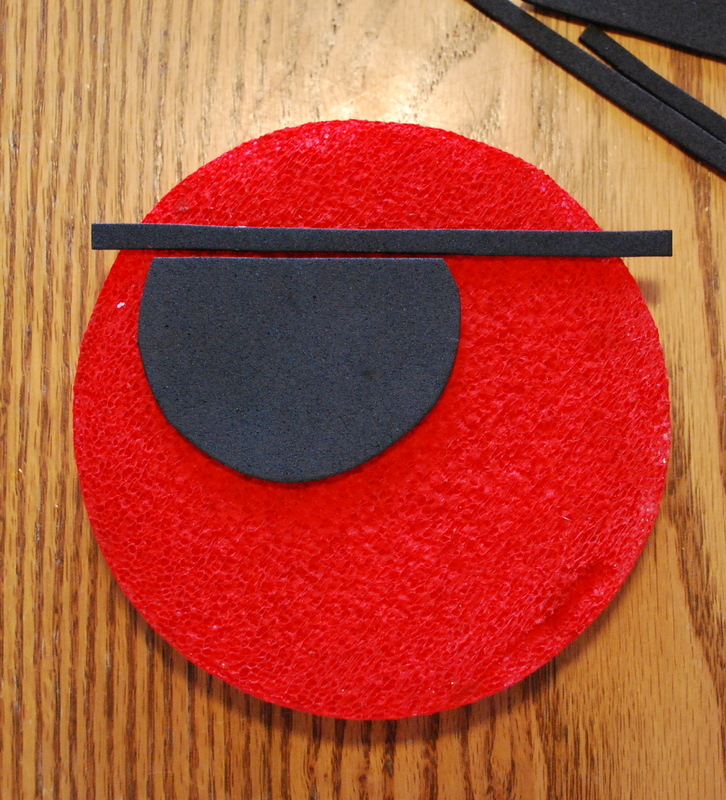 Although my son enjoyed working with these materials – you will see that he had little interest in following directions to make my version of a ladybug! And that’s okay! 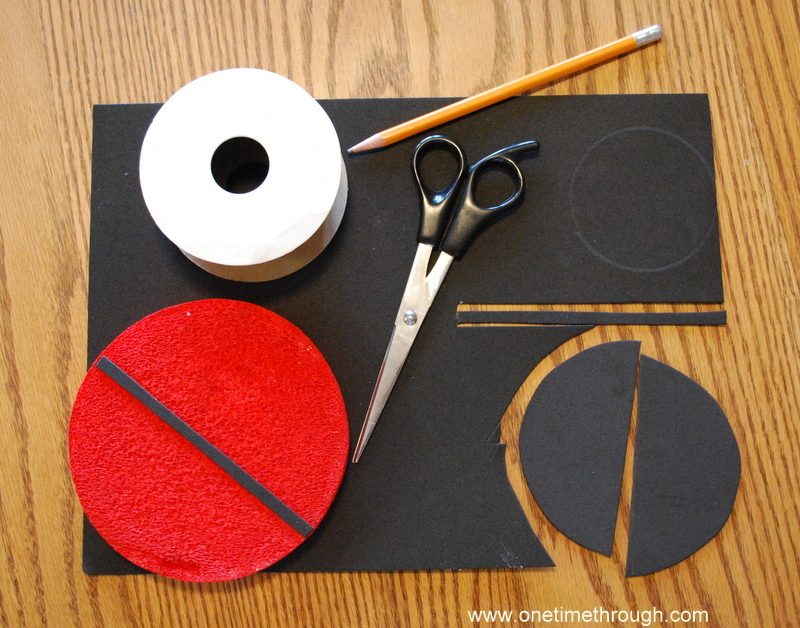 Definitely a craft for ages 4+ when kids are old enough to follow step-by-step directions. 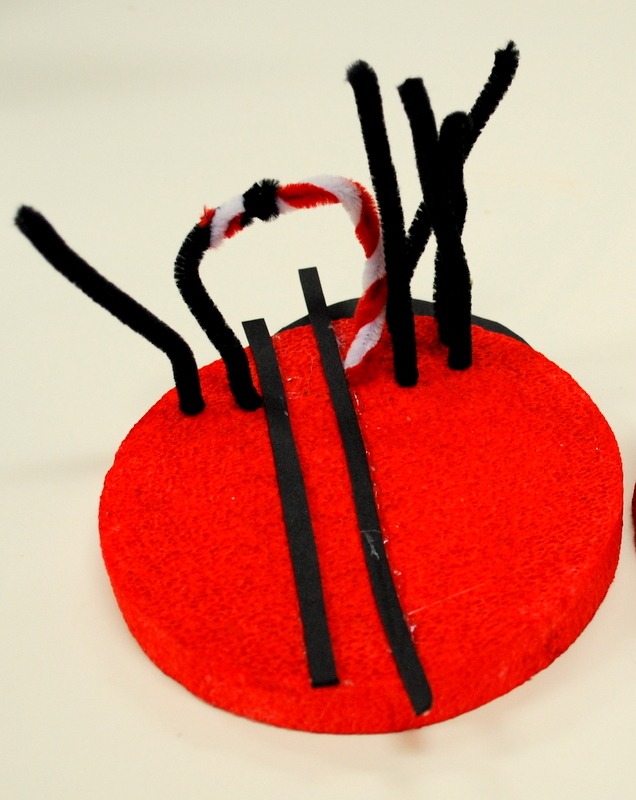 This project idea doesn’t have to be a ladybug either – it could be any insect (or arachnid!) your child chooses. Just change the paint colours and wing colours. Remember to go where your child’s interests are and the learning and fun will come! Check out my new “Onetimethrough’s Philosophy” page to see more about my philosophy on teaching and learning with children. 1. 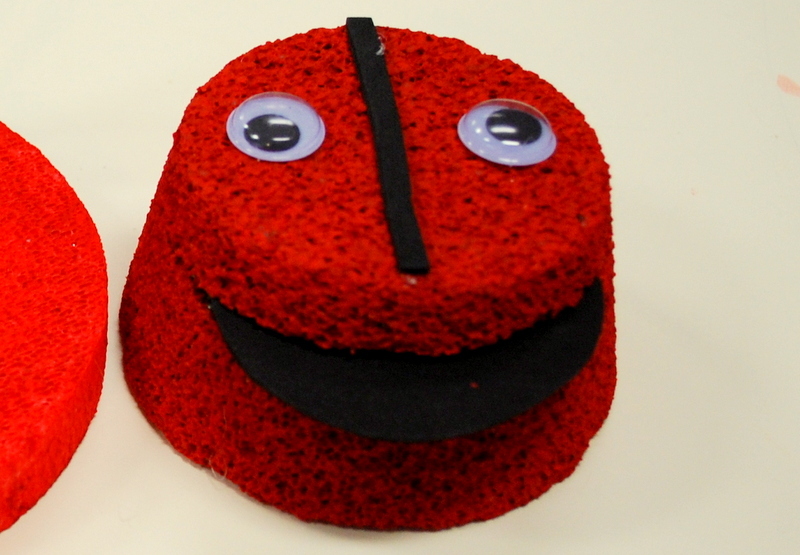 Have your child paint the styrofoam circle red. 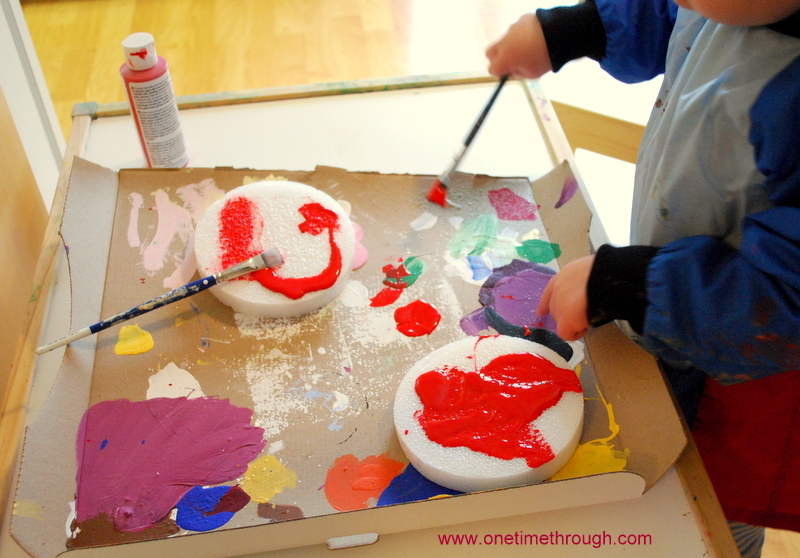 For my guy, I poured the paint onto the circle for him and he spread it around. 3. 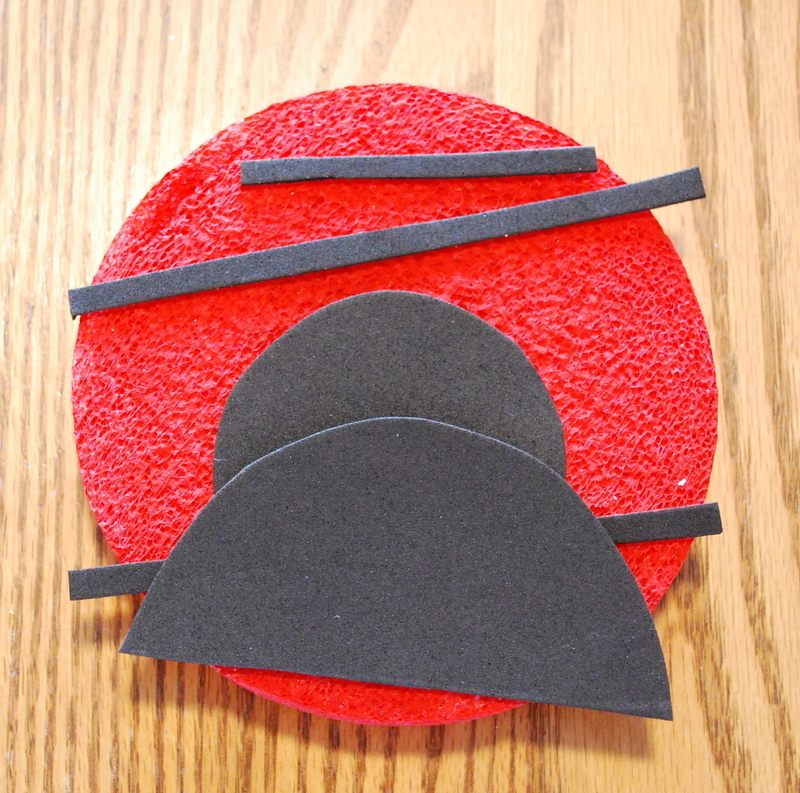 Using a butter knife, slice a slot into the side of the foam circle and insert the black foam for the head. Have your child glue the eyes onto the head and glue the black dividing line down the middle of the bug. Well, Onetime wanted the eyes in a different place, and who am I to say they have to go on the black part? He got the line in the right spot!! 4. Cut the white pipecleaner in half to make two antennae and have your child stick them into the foam below the black head. Cut each of the black pipecleaners into 3 pieces to make a total of 6 legs. Have your child stick the 6 legs into the foam body. SCIENCE TIP: This is a great time to talk about insects and how they all have 6 legs (Did you know that spiders are not officially classified as insects? They are arachnids!) Also – chat about how insects use their antennae to smell and taste their environment! Cool! Just had to show you this picture of Onetime’s creation of a train track going into a tunnel – he definitely wanted to do his own thing with these supplies! However – my point is that he put all the pipecleaners in himself – great fine-motor practice. 5. Have your child use the sponge paint dabber to paint black dots onto the ladybug’s back – or just glue fun foam circles if you want to avoid more paint! 6. 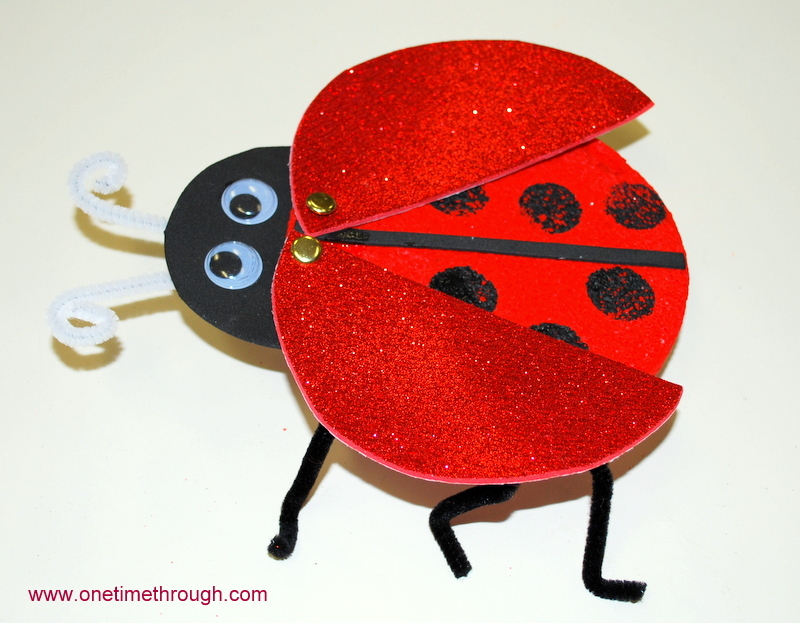 Have your child attach the wings onto the ladybug’s back using paper fasteners. Now they can open and close! Definitely a craft for a child older than mine – say 4+ would be perfect! But I thought you might appreciate the humour in seeing what my 2.5 year old son created. Preschoolers really do enjoy taking crafting materials and making things – they just want the process to be open-ended! Always a good thing to remember when planning something you think your child might enjoy doing! Have you ever planned a craft for your kiddo that they took in an unexpected direction? I’d love to hear about it!